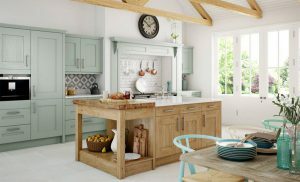 What to consider when choosing a worktop? 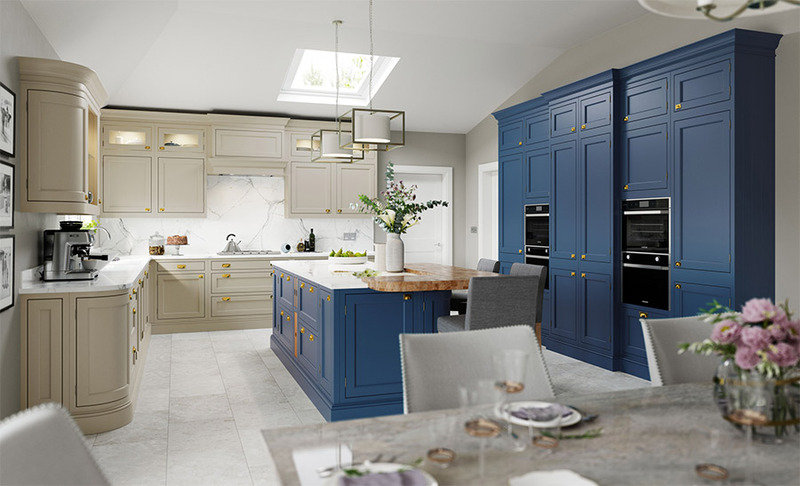 There are many design decisions to make when buying a new kitchen, but never underestimate the importance of choosing your worktop. Sitting on a horizontal plane, it is a prominent feature of the room visually, and is also of vital importance to the functionality of your kitchen. This can effectively make your decision for you. 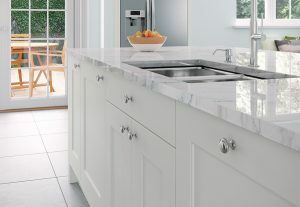 Worktops are available at a variety of price points ranging from cheaper laminates to expensive stones and composites. How much you have to spend is likely to leave you with a couple of material categories to play with. We supply options for most budgets so please talk to us about what your money could buy. 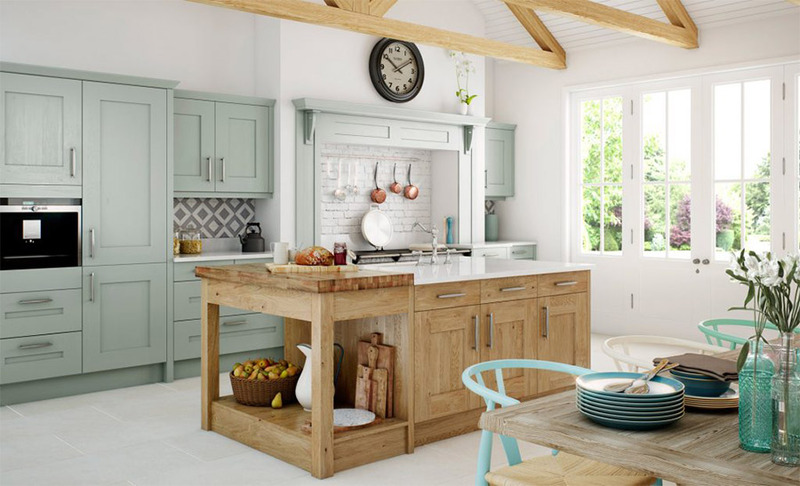 Your kitchen layout can determine what options are available to you. If you have straight runs then almost any type of worktop will be appropriate, but if you have lots of corners etc then seamless materials such as composites would be a good option. Factor in the added costs each type of worktop will incur. Having your worktop cut to fit around the different elements of the kitchen (hob, sink etc) will add extra cost and some materials are more straightforward to cut and shape than others. 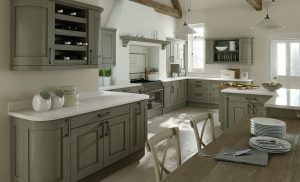 Also think about the upkeep costs of each worktop type – some will be more expensive to keep in good condition overtime. What: Made from about 90% natural quartz crystals mixed with a small percentage of binders – often referred to as engineered stone. Very tough, non-porous, consistent composition (meaning no variation in veining and colour shading), resistant to scratches, heat damage and impact, can be formed into shapes without joints (great for seamless worktops) and little upkeep is required. Price-point: Upper end of the price range. Hard, resistant to scratches and heat damage (but must be treated with care), can be cut into a variety of shapes and sizes, low maintenance, but usually needs treating with a special sealant. Price-point: Mid-upper end of the price range. What: An alloy of iron which is resistant to rusting. Creates a striking industrial look, very strong, waterproof, heat and acid resistant, anti-bacterial, easy to maintain, but is prone to scratching. What: Natural woods such as oak or walnut. Very easy to cut, adds a natural warm look to a kitchen, needs sealing semi-regularly for maintenance and can be scratched or scorched if not properly looked after. Price-point: Middle of the price range. What: Multiple layers of impregnated paper fused together under high pressure temperature. Non-porous, easy maintenance, lots of colour and design choices (can mimic the look of other materials), resistant to impact, scratching and moisture, easy to fit, but can be damaged by heat or steam. Price-point: Low end of the price range. Finally, it is possible to mix and match worktop types. For example, you may opt for a laminated surface for the majority of your kitchen but splash out on a composite worktop for your island. Alternatively you could use hardwood for large straight stretches and use granite around your sink and hob etc. If you would like to talk to an expert on the subject of worktops then please don’t hesitate to get in touch with us. 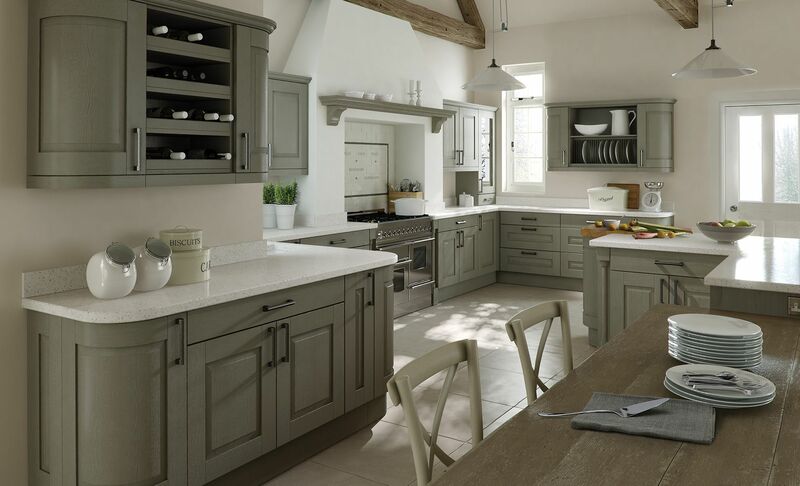 You can visit our Navenby showroom Monday – Friday 9-5 & Saturdays 9-1. We are always happy to help.